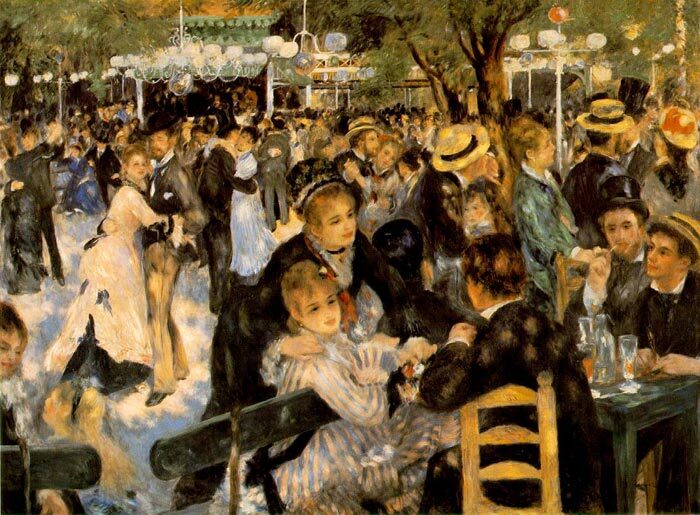 Toward the end of the nineteenth century, many French painters, among them Renoir of course turned their attention to scenes of modern life: Parisians enjoying themselves in the countryside, streets crowded with traffic and pedestrians, performers and habitués of the city's theaters and café-bars. SPECIAL NOTE : The painter will make the reproduction as close to the original oil painting as possible. If you want your painting to alter from this likeness, please email us and " Le Moulin de la Galette, 1876 " will be reproduced according to your special requirements.